Home » Ready, Set, Go! Make the Most of your Stay in the US! 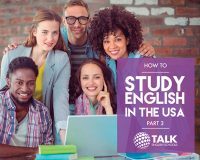 While studying and living in the USA, you want to make the absolute most of it. Being prepared mentally is different from being practically prepared. It is your mental attitude that is going to make the difference between a forgettable trip abroad and one which makes a lifetime on wonderful memories. You’ve done all the prep work, and you’re on your way to the experience of a lifetime! Research as much as you can – about the city, the country, the culture. Read literature or non-fiction that is set in that country’s past, present and future. It’s why you are there, after all, and your studies as well as your life experience will furnish you with skills and qualifications that will last a lifetime. Keeping your attitude free of judgement will make your time living in another culture so much more interesting. Get involved in local activities and issues – it will make you feel at home. Don’t be afraid to make mistakes – you have prepared thoroughly to prevent any disasters, but you are bound to make mistakes. This is the stuff of life, and of learning. There are so many easy and free ways to talk and video with your family and friends back home. Skype. Viber. WhatsApp. Tango. LINE. WeChat. The world feels like a much smaller place with these apps! Decorate your room with objects that make your feel at home. Keep in touch with events in your home country. Visit areas where there are residents your country, or restaurants with your native cuisine. Stay healthy and fit – exercise is a great anti-depressant and feeling good about yourself helps you approach your life enthusiastically and positively. The friends from other countries who are your classmates share a lot of the same feelings, experiences and ambitions as you. You will find that having so much in common and finding your way in these new surroundings will create bonds of friendship that will last forever. Learn where to find the bargains. It is a lot of fun to discover great thrift stores and markets in your new city, and at the same time, you can save tons of money! Follow your interests and try to identify what clubs, venues or classes will make you want to stick around. You can meet even more people with whom you share hobbies and passions in common. Take photos, write a blog, keep a journal, and record your special moments with friends and in beautiful, interesting places. Know what to expect in the classroom, and what is expected of you. Participating in the classes will give you confidence and keep you attentive to what is being taught. Speak up if you do not understand something. Remember that everyone in the class is there to learn so don’t be afraid to ask questions. Your fellow pupils will probably be grateful to you!! Research your city and what it has to offer. There will be plenty, and it will range from sports events, music concerts, museum exhibitions to guided walks and festivals. Whatever your interest – history, sports, art or nature hikes, choose what you want to pursue and your experience in your host city will be so much richer. It’s always good to know the neighborhood and the local players. Get to know the local restaurant staff, your corner deli owner, the checkout staff at your grocery. Finding free wi-fi in US cities is less and less of a challenge. Many of the coffee shops offer it, as well as libraries and public places. Ask the admin staff at your English schools where to find free wi-fi areas. Not only is TV and the movies a great and leisurely way to pick up the language, many programs and shows are a great insight into American culture. Plus, the quality of programming is fantastic. Be a part of your community and you will feel more integrated and comfortable in your new home. Inquire about local events, fundraisers, meetings and learn more about what is important to the people who live there. Travel whenever you can – either locally to the next town or take a trip across the country to some of the great cities and landscape that you have heard so much about. Air travel can be inexpensive if you know the tricks, including the budget airlines which are ideal for short trips. Once you have a sense of what all is out there in your host city and country, start thinking about the gifts you can take home. Perhaps they reflect something of what has become important to you – like a small painting of a favorite place you discovered – or maybe you have found just the right practical gadget which someone will really appreciate. Gifts are all about the thought behind them rather than the money, so you don’t need to spend a lot! Take the correct attitude with you when you go abroad. This can’t be overstated – it guarantees that your study abroad will be the experience of a lifetime! Check out a section on mental preparation and approach to your study abroad stay that will ensure the experience of a lifetime with our e-Guides series. Download here!